So it's Valentines Day and you're single. Every other day of the year you don't care so much but there's an extra sting to it when everyone else is shoving their love down your throat. You need an escape! When it comes to living vicariously there's nothing quite like a movie! Preferably a movie that guarantees you the sickly sweet happily ever after. So here are five great movies to live vicariously through if you're feeling lonely this Valentines Day. 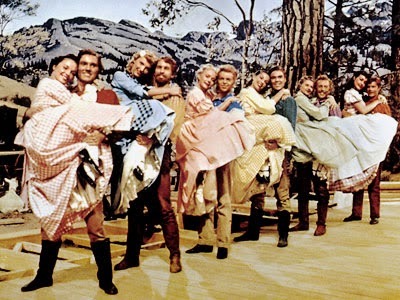 First up is a golden oldie, Seven Brides For Seven Brothers. What's more romantic than kidnapping and Stockholm syndrome? Nothing! Am I right? Not to mention the romantic setting of a cabin in the middle of nowhere and the the fact it's also a musical just makes this a great fit for Valentines Day. Who doesn't want to watch a bunch of young attractive mountain men singing and dancing? And like I said, don't worry about the fact they go out and capture themselves some brides. All of them fall in love with the men that took them by the end of the movie! While I wouldn't advise you use their questionable methods of finding a girlfriend or boyfriend, if you're a lonesome polecat this Valentines Day give this movie a go! Next up is How To Lose A Guy In 10 Days! Doesn't everyone want a relationship that is built on lying and manipulation? I think this movie speaks to that yearning for unconditional love that most of us have. It teaches us no matter what we do to each other, right down to intentionally trying to drive the person away from us, that true love will conquer all and you can still end up together. I think deep down that's what we all want to believe. So if you're a hella annoying person and want to feel like that won't matter if you meet the one, watch How To Lose A Guy In 10 Days! I thought I should include an animated Disney movie for those of you that are big kids at heart and the Disney lovers amongst you. The Little Mermaid seemed like the perfect choice. There are many lessons in this movie we can apply to our real life relationships. Especially us females. Ariel teaches us it's fine to fall for someone based on their looks and then decide to change everything about yourself and sacrifice something as essential as your voice to be able to leave everything and everyone you've ever known to have the chance to seduce a stranger, basically selling your soul to the devil. All at the age of sixteen. Sounds legit. It's okay though because it was totally worth it. It turns out true love can happen in three days and despite Ariel being a mermaid her prince wants her nonetheless! She still has to lose the tail and sacrifice being able to live with her family and friends but oh well. The important thing is she found her prince and they lived happily ever after. If you're the kind of girl who's willing to sacrifice everything to find their one true love, then The Little Mermaid is the movie for you! When most people think of a broken family they think how difficult it must be for the children. Clueless reminds us there is sometimes a bright side! Now I personally think Alicia Silverstone is beautiful in this movie and her character is the iconic popular girl in school. So she could really have her pick of the guys at school. Like totally. But I guess some people just prefer to keep it in the family. I can't say I totally blame her considering Paul Rudd plays her step brother Josh. So yeah, if you're low on potential boyfriends or.. even if you're not, why not look closer to home? ...Yeah, maybe not. 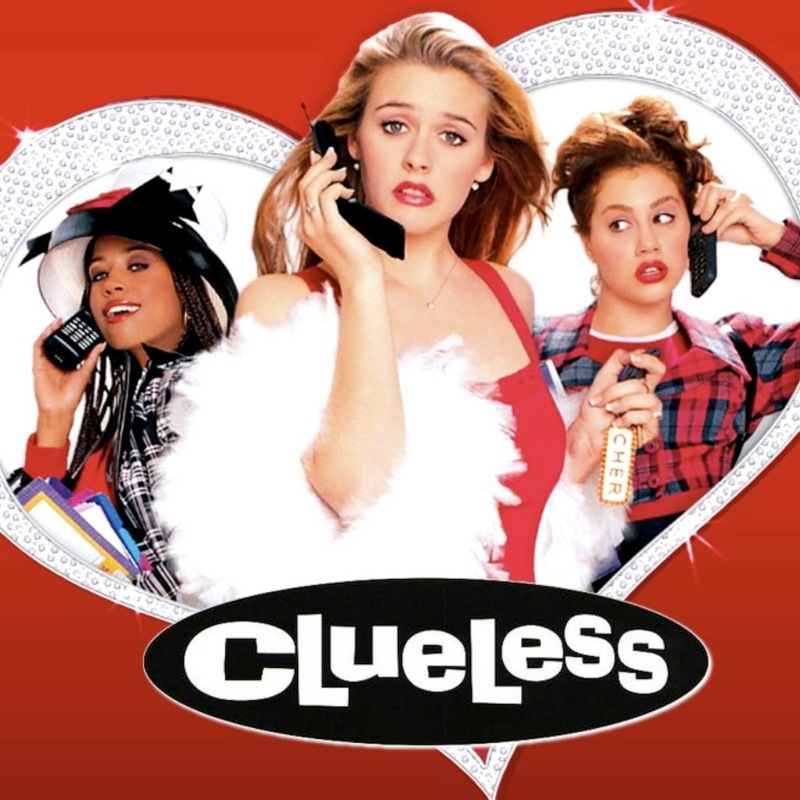 Perhaps just watch Clueless instead. Last but not least we have 17 Again. This movie is like Big but in reverse. Instead of a kid becoming a man overnight a man becomes his 17 year old self again to make up for the mistakes that resulted in his life not turning out quite how he wanted. It's not strictly a romance movie but there IS a happily ever after. Once Mike is his 17 year old self again he goes back to his old school and befriends his children, infiltrating their lives in a way he wasn't able to as their father. To the point his own daughter starts to get the hots for him. Don't worry. That ain't the happily ever after. He decides to seduce his ex wife, obviously. In the end he realises what's important and where he went wrong and that wasn't missing out on playing basket ball. It's really romantic, I swear. Just as they're about to have their big moment he turns from being Zac Efron back into Matthew Perry. So I guess you could say it's a bitter sweet happy ever after. This movie is a little harder to live vicariously through and it's not because the magical elements make it too far fetched. Personally the hardest thing to believe is that Zac Efron grew up to be Matthew Perry. I mean I love Chandler as much as the next person, but he ain't no Zac Efron. But I digress. If you have an ex you wish you could go back and seduce all over again, then 17 Again is the perfect choice! So there you have it. Five movies that guarantee you an escape if you're lonely this Valentines Day or even if you're like me and happily single. I LOVE Valentines Day. Even when I'm single. Maybe even more so because I tend to stress about buying presents and stuff but I do love seeing what other people do for each other. I hate when people are down on it because it's commercialised. So what? Just have fun. If you could live any movie, what movie would it be? Love this post! How to lose a guy in 10 days is just so good - I can watch it over and over again! I've yet to see seven brides, but I found it in my DVD collection at home so I'll have to give it a go! Lots Of Goodies For Bloo!